Cue the music. "You say tomato, I say tomahto. You say potato, I say"... wait... does anyone actually say potahto? No? We didn't think so. Anyhoo! Welcome to the third episode of our Language Series. 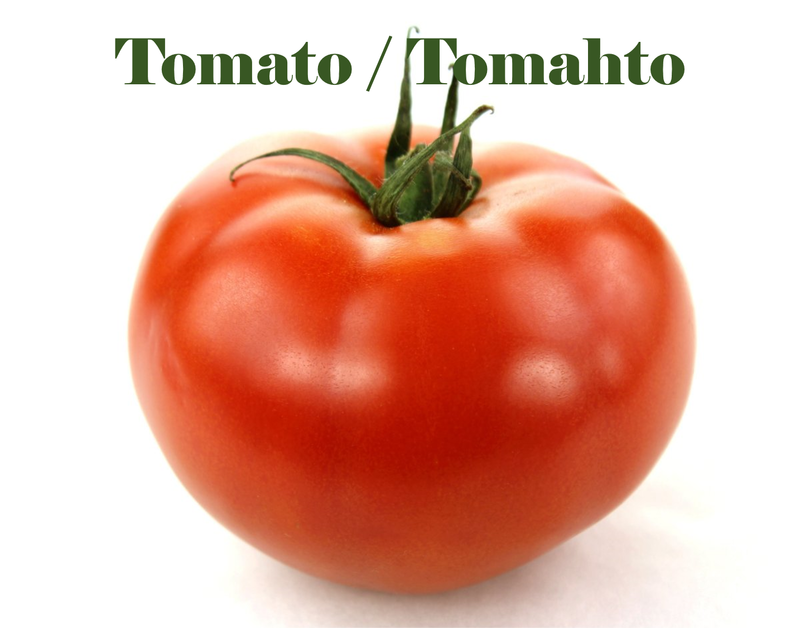 This podcast finds us discussing (as if the humongous tomato above wasn't clue enough) the different ways words might be pronounced in the U.S. versus in the U.K. and vice versa. I say "might be" pronounced because, while we don't think anyone pronounces potato like "potahto," someone out there might. We don't know everyone, after all. We recognize that the pronunciations we mention are generalizations and may vary depending on where you are in America or Britain. Do you pronounce a word we mention differently than the way we said it? Let us know by tweeting or Facebooking us, or by commenting on this post.